Why ist it so relevant to you to deal with the Holocaust artistically nearly 70 years after the end of World War II? Is it the first time, that the Holocaust is standing in the focus of your artistic activities? What can do art to keep vivid the memory of the individual and collective trauma? Why do you choose the field of “art & moving images” for developing your artistic ideas? Why it is so relevant to you to deal with the Holocaust artistically nearly 70 years after the end of World War II? It is indeed like that, that the increasing distance to the historical period of the Third Reich is marginalizing the true dimension of Holocaust to a mere historical phenomenon, while World War II as a tool for executing the Holocaust beyond all existing boundaries, changed the world in a dimension like nothing else human-made before. The world we live in today is the result of World War II and the Holocaust. As a German, who was born and raised after World War II, I grew up protected from any negative influence with the best values parents can give to the children. The Nazi Past and the Holocaust was never a topic in family or school. My father never was talking about his experiences of being persecuted by the Nazis, only after his death in 1989, just a few months before the Wall in Berlin was falling, which my father was desperately yearning since its erection in 1961, my mother reported from her point view about the persecution of my father through the Nazis and the effects on the young family and the three little children. Much too late, I recognised that I knew actually nothing about my father and there was no chance left to change that. But the memory of my parents’ traumatic experiences were probably transferred to me via the genes, because it came out of me unconsciously and automatically when ever I was making drawings as a little child, and also later when I started to deal intensively with art.. It remained more or less unconsciously until the Fall of the Berlin Wall and the collapse of the Communist systems. Travelling in East of Europe in 1990, visiting the memorial camps on Polish ground like Auschwitz, Majdanek and others was causing a tremendous shock when I realised the dimension of the Nazi terror and the unconsciousness of my previous life became consciousness and reality, as something which was determining my life from the moment when I was born. There was no question, I needed to start an artistic project dealing with this new consciousness and prepare it on occasion of the 50th return of World War II in 1995 as my personal contribution to a reconciliation with Jews on one hand, and Polish people on the other hand, however, not knowing that I was starting a process of a kind of suicidal self-experimenting causing at its end my own death caused by a terror attack in 1998, a re-birth in 1999 and the start of a new life in 2000. This described consciousness of mine, which is representing also the basic condition for Shoah Film Collection, is considering the Holocaust to be the worst possible manifestation of the dark side of human nature, one might call it the absolute “evil”. Under certain historical, political, economical and cultural conditions, which were given in the 20ies and 30ies of the past century not only in Germany, but worldwide, the Holocaust may happen again at any time at any place in the world, if we ( as one people and citizens all over the world) are not very careful. The fact that crimes against humanity are executed before our very eyes, daily transported via the media, and I do not mean just the genocide in Rwanda or the war of an insane Syrian dictator against the own people, but also all the human rights violations in our so-called democratic countries, intolerance and discriminations anywhere on the globe, this fact is indicating that the human nature is completely out of any balance, and each of us has fight that in one’s individual way. There are millions of people who demonstrate the need for change, for instance, in the Islamic countries, or Latin America. Always present, the Holocaust is standing visible for all, as a fanal, what will happen if the dark side of human nature is overpowering us. Art, respectively what we perceive nowadays as art in the process of human civilization, was not only always transporting individual and collective memory from Past to Present and Future, but by touching emotions and spirits, it is the nature of art to sensitize people and change awareness. After the Liberation of Auschwitz, the Holocaust made the people speechless, intellectuals and artists were stating in the beginning that art after Auschwitz (Holocaust) would not be possible any more. Nevertheless during the post-war years, many visual artists tried to visualize the Holocaust and its dimensions on many levels, but mostly failed by showing just horrifying curios. Although during the decades until these days, there were some single visual artists who continued dealing with the Holocaust, and some even did it successfully in an artistic sense, dealing with the Holocaust artistically is representing widely a kind of “TABU” settling a kind of eternal, never changing dogmatic view on the Holocaust. The institutions dealing with the historical aspects of the Holocaust claim to be only ones being eligible to deal with the Holocaust, at all, and defend their property, respectively this dogmatic, even totalitarian position. The contemporary art scene is going even further by punishing artists who are dealing with such heavy contents like the Holocaust through intimidating, discriminating. stigmatizing and excluding those artists. In fact, other media than visual art, were much more successful in dealing with the Holocaust, like film, literature and theatre, because they are able to show and transform processes into an artistic language, which the static media of contemporary art are not able to. However, the new media and technologies in art changed the situation in contemporary art profoundly, because the linear digital video technology, which is available and affordable to anybody nowadays and the non-linear new media technologies, offer artists countless tools for a contemporary artistic approach via the moving images or interactivity, and allow a direct user (viewer) involvement and, in this ways, also an immediate self-identifying. represent much better conditions to start dealing artistically with the Holocaust, respectively the evolutionary processes which were leading to the Holocaust, and sensitize people actively via art. Is the Holocaust standing in the focus of your artistic activities for the first time? No. While I would not consider the unconscious attempts as a child under influence of collective memory as artistic projects, I would speak of the first real project, but when I started working many years later “consciously” on the artistic memorial “inspired” by visiting the memorial sites in Poland in 1990, dedicated to the victims of Holocaust, but the Holocaust was actually only a topic indirectly. Like many artists before, I came to the conclusion myself, that it is not possible to visualize “Hitler’s final solution”, but as long as the Holocaust was understood as the final result in form of an anonymous mass of millions of dead humans, it is just a like a “black hole” eating anything around, leaving to the artist and the viewer – no space for anything creative, and above all, not any space for a kind of self-identification. By visiting Auschwitz, which, in comparison with Majdanek, for instance, is quite completely preserved, it became particularly obvious, that the victims were forced to pass a long process of humiliations, loosing their humanity before they were deported, during the deportation and after they had arrived the camp, before they were killed. From my point of view, the Holocaust is representing rather the collection of millions of individual life stories which all have no happy end. These stories and the human dimension is giving the anonymous individuals a face, and in this way, the Holocaust will not remain that “black hole”, but becomes even a most brightly coloured super-volcano of incredible emotional eruptions, experiencing persecution and torture, living between hope and despair. The mere historical view, however, is marginalizing the human aspect and superelevating the roles of the perpetrators and honouring mass-murderers, while at the same time, the victims are punished to keep the role of being victims to become again and again victims in a kind of vicious circle. The fall of the Berlin Wall was changing history, writing and perceiving history profoundly. The years after the fall were marked by an uprising Neo-Fascist movement not only in Germany, but in many European countries. During many years, daily Neo-Nazi manifestations took place in the cities and the country-side, which were trying to manipulate particularly young people with the insane ideology. No artist was working on such a concept before, I need to confess, many people were disappointed or even shocked because I was not representing the widely known stereotype horrifying curios in grey and black, but was using a most extreme bright colouration, causing sometimes even pain to the viewer. In a lifetime, certain years have a particular relevance. For me, 1989 was such a year. A certain artistic period was finished, my father was dying just a few days after his birthday in spring. Looking for new horizons, I founded together with some friends the charitable organisation ARCHA Society – Archives and Research for Contemporary Humanism and Art. When its registration at the court was confirmed exactly that day when the Berlin Wall was falling on 9 November 1989, I took it as a signal for focussing the activities of ARCHA Society on a cultural exchange between Western and Eastern Europe – a very far-sighted decision, retrospectively seen. For establishing contacts with potential collaboration partners in the East, I was visiting after East Germany, in spring 1990 Krakow in Poland at first. The Jewish quarter, the Jewish cemeteries and learning more about Eastern Europe as a traditional settling area for Jews, was extraordinary fascinating and irritating, because it was a kind of culture which was vanishing just a few decades ago, a culture I was never confronted before, but I felt very familiar with, nevertheless. Visiting Auschwitz, just a few miles from Krakow, had a most strange shocking effect on me – it was not just facing the true dimension of Nazi terror, but I felt as if I would be visiting as a former victim the place of my own extermination. After staying overnight at a guestroom on the area of the concentration camp, I was told that the fall of the Berlin Wall was that fortune not only for Auschwitz, but all memorial camps in Poland, because there had been plans to close all memorial sites due to the lack of finances. Being very curious to look for further traces of Jewish culture, I took Krakow as a starting point for exploring other places in Eastern Poland, many of them had a Jewish majority of more than 70%, of the population before World War II while when I was visiting these places not any traces were left, that just one single Jew was living there ever, at all. The only monuments of Jewish culture left were old Jewish cemeteries hidden somewhere outside of the settlements. I liked the strange “exotic” aesthetics of these wild and chaotic places very much. I started there documenting Jewish cemeteries in Europe with my camera. From all places I was visiting, Lublin left the most lasting impression. Once an important Jewish religious centre, called Jerusalem of the East, Lublin is hosting the 2nd largest concentration camp on Polish ground, Majdanek. Differently than Auschwitz, Majdanek was widely destroyed by the Germans when the Russian troops conquered Lublin 1944. Planned for 500 000 prisoners, the concentration camp covers the incredible area of a metropole. Besides a few remaining barracks, the main camp is an empty field until far beyond the horizon. For my personal perception at that time, Majdanek was offering much more space for imagination due to the lack of all the details Auschwitz is presenting. As a guest of Majdanek State Museum , the director asked me whether I would prefer to stay over night in a hotel or probably accept a guestroom on the area of the concentration camp. Spontaneously, without knowing what I was actually doing I decided for the guestroom, situated at one of the few surviving barracks. Here in Majdanek, I got for the first time the idea about an artistic project dealing with the experiences of visiting the memorial camps. When I was talking with the museum director about my new ideas of such a project as my personal contribution to the reconciliation between Germans and Jewish and Germans and Polish people, he enthusiastically proposed me to consider the realisation for the year 1995, the 50th return of World War II and Majdanek as the first of several venues in Poland, and he invited me to stay in Lublin for research or “inspiration” whenever I want. I accepted this invitation, and was visiting Majdanek several times, once I stayed even 2 weeks at the same guest room. People I was telling about that place where I was residing were considering me to be completely crazy, and retrospectively seen, I agree. When I stayed just one night, it was no more or less than any other accomodation, but residing there for two weeks it became obviously already during the 2nd night, that I was actually a prisoner of the concentration camp. During the hours when the museum was closing at 19h and the re-opening at 9h in the morning next day I was requested to stay at my room, because there was no official possibility to leave and return to the memorial camp. Someone told me, I should try to climb the barbed wire, which I did even several times, feeling like a jailbreaker or criminal. When I tried it the first time, I did not know how to return inside of the camp, until I recovered after some hours finally somewhere a hole in the barbed wire, and I returned in panic, but anyway safely to my room. Those who have been in Majdanek once know there is a gigantic monument containing the ashes of all the burned victims. The barrack containing my guest room was a few meters far away. The nights were clear and silent, an unimaginable kind of silence, a kind of absolute unearthly silence, not even the noise of a bird or cricket. It did not need much imagination that the spirits of the dead came alive. So it will nobody seriously surprise, that I became overwhelmed by many strange spiritual experiences – capturing me when I returned to Germany, causing deep depressions which were even leading me close to death, I was feeling as if I could get rest only when I was visiting old Jewish cemeteries. Only many years later, after an hyper-traumatizing attack, the therapist told me, that my decision for the guest room at the concentration camp was a kind of suicidal self-experiment. The human soul would not be made for that, it would be even a kind of miracle that I survived. What was the concept of your artistic memorial project like? Firstly, I need to confess, that it is hardly possible to recollect all artistic processes more than 20 years ago, so what I do is representing a kind of retrospective interpretation. My desire to create an artistic work related to the Holocaust was not easily to be transformed into a concept, because I was aware of the impossibility to identify myself with the Holocaust and make people (the viewer) identify themselves with this heavy matter. But for an art work, it was a basic condition to touch and affect people positively or negatively, make the viewers identify themselves with what they perceive through the art work. The Holocaust and dealing with the Holocaust is always a mere provocation, objectively and subjectively, it was like that at the historical times and it is these days, in so far, it is affecting people profoundly but in a way they absolutely dislike. The Holocaust is a weapon accusing permanently people only through its existence, and it is used as a weapon for many ideological purposes. It is the nature of the Holocaust to produce guilt to anybody, and in a vicious circle open wounds that cannot heal. It reminds people of their own human weakness and “evil” side. I ask you who would like to be confronted with a piece of art which is not displaying grace & beauty and producing positive feelings, but instead of this making people feel very miserable and depressive. In the best sense of art, I wanted people to be open for the unexpected. I was doing a big experiment, which people, however, often did not understand as such. My concept was to create an installation consisting of 2d and 3 d objects juxtaposing the reality of the media with the reality of the artist, the reality of the viewer and the historical reality by using different type of footage executed in different media, people know already from TV or press and other footage which was original, authentic and not yet known. During the preparation process of the exhibition, “1000 years, 50 years and still so terribly young”, I was changing my concept daily because by doing new perceptions raised and it became obvious, that this exhibition would not become the final result of an artistic process, but the beginning of something completely new, a kind of artistic mobile memorial to be installed at places to become temporary art spaces through the installation. The title of this future project was “A Living Memorial Spaces of Art” – Memorial Project against the Forgetting, Racism, Xenophobia and Anti-Semitism –extending the exhibition still under construction through different new aspects according to the described goals. When in January 1995, shortly after the inauguration at the Historical Archives of the City of Cologne, Ignatz Bubis, the President of the Central Jewish Council of Germany took Patronage over this project, its was a signal and encouragement to me to start working on the new and extended mobile memorial when the exhibition would return from Poland to Germany as the Polish Version. or Brown Space to be complemented by the new spatial installations of the Red Space, the Green Space and the Blue Space. But this Patronage was catapulting suddenly my project and activities into the spotlight of public relevance, causing one of the most unpleasant periods of my entire life. It started escalating with threatening anonymous phone calls and anonymous letters, in times when it was popular that people of public relevance received letter bombs from NeoNazis. I went during the following three years daily anxiously to my mailbox expecting all those strange parcels I was receiving to be letter bombs. When I was telling earlier, that staying at the memorial camp Majdanek was causing a deep depression afterwards, it has to be considered to be the starting point of a process when fear in most different shapes tried to overwhelm me, already soon something really horrible would happen. During more than 3 years, I was in the absolute state of war in times of peace, until the anticipated “horrible” happened in autumn 1998, while every 4 weeks another part of my memorial exhibition project was inaugurated at an another place, in total my mobile memorial was installed 43 times in Poland, Czech Republic and Germany. I was condemned to be silent during these years until 1998 and afterwards even more, because it was not possible to express my deep fears to anybody, and when the horrible really happened, it must be understood as the climax of a very long and escalating process which was finally leading to my death when I was falling into a coma. they changed their actual identity and mission to become a space of art for a limited period of time. So, people visiting the places were confronted with the unexpected. My creative project turned them again into spiritual and holy places reinstating their former dignity. One of these synagogues, located at Wittlich on the country side of Rhineland –Palatinate was supposed to host the ”Blue Space” installation to be inaugurated on 9 September 1998. During 7 and 8 September I created a new installation especially for the huge space of synagogue. I tried to transform the spirit of this space into new levels of awareness to be experienced by the viewer as a visual and spiritual provocation, when I created a new space within the existing space catapulting the viewer into another sphere of perception. I was completely exhausted when I was finishing the installation on 8 September at night, but was very happy to have mastered this challenge. Next day, the day of the inauguration, the director of Wittlich synagogue took me on a sight seeing tour through the city of Trier, the oldest city in Germany. It was a very lovely late summer day, the sun was shining brightly and the villages of the countryside were lying in the innocent light of the early autumn, when we returned to the synagogue in order to check my installation again. When I climbed up to the synagogue’s women gallery from where I was expecting the magnificent view on my installation, I couldn’t believe was I was seeing. My installation was vanished and the space was completely empty. I needed to look there several times, until realised I was not dreaming. When we heard downstairs some heavy noise we left both the women’s gallery and saw some people escaping satanically smiling. Looking around I recognised at the farthest corner on the opposite wall a heap of chaotically lying objects, which I identified as the objects of my installation, now damaged and thrown down to the ground as if it would be garbage. Some objects were still wiggling back and forth, and it became obvious, that the destruction was executed by the people who were just leaving the space. The news of the attack spread in lightning speed, and countless members of the municipality were running around like chicken while I was sitting in despair in corner of the synagogue within the ruins of my destroyed installation. I wasn’t sure whether I was physically injured, but I was so tremendously shocked that my breath stopped, my heart stood still, I felt being placed in another dimension of time and space, at a place where I could not orientate myself anymore. I felt horrible pain and heard myself asking the people who came along continuously – I would need urgently a doctor, but nobody cared. I do not remember, how I managed the long way back to the hotel, but obviously I lost there my consciousness , and I remember only when I woke up in the hotel bed, I was shouting out loud. I do not remember, how I returned to the synagogue, but I remember that when I returned the employees of the municipality where manipulating the scene of crime destroying the evidence. I heard me shouting out load, Stop! What are you doing? Where is the police? Only now, the police was called, and when two policemen appeared they handled the case, as if a cat would have thrown a vase to the ground. I heard myself explaining to the police what kind of force was needed to throw the heavy installation objects more than 7 meters from one corner to another, from one wall to another, and what kind of noise it must have caused, only rage and hate would be able to. Where had been the guardians? Why did they not prevent the attack? The head of the cultural department even told the police, she would have got the announcement that this very day an attack would take place, but nobody would have taken this announcement seriously. Everybody was assuming that this was a terror attack by Neo-Nazi. But the police did not seem to be interested, it did not even secure the evidence so that afterwards the scene of the crime could be manipulated by anybody and was worthless for any investigation. The policemen left shaking my hands as if they would be leaving a birthday party, when the mayor of Wittlich arrived, who was supposed to open the inauguration of the exhibition. Obviously also shocked not knowing what to say and how to behave, I was treated as if I would have a deadly disease, nobody dared to look at me, nobody got in touch with me, nobody showed any empathy or solidarity. The exhibition space was slowly crowding with people to celebrate the inauguration, a whole delegation of the Jewish Community of Trier arrived, the mayor did not find the words to explain the situation and he behaved, as if it would be normal, that the inauguration took place on the ruins of my art installation. Then I was requested to hold my introducing lecture. How could I? I do not remember, how I got the power to stand the situation, but it must have been a shock to anybody present, to see me completely stunned and out of order, I only heard myself saying, this attack would represent the end of my project, the end of my career, it would represent the absolute climax of the past hyper-traumatizing years, it would be the end of my physical and spiritual powers. I remember how I was leading the members of the Jewish delegation through the ruins of the destroyed installation as if the destruction of my art work would have been the result of an artistic performance. I remember the mayor trying to have some small talk with me, as if he as the head of the municipality would not be responsible that the attack was taking place. I remember how the mayor, the members of the municipality were leaving the location without any word, leaving me standing completely paralyzed in this debris field. I do not remember, how long I was standing there, but I felt helplessly as if I would be in a wrong film, which certainly sometimes would stop, but it did not. I did not understand what had happened and why people were leaving me standing alone in my despair. I do not remember, how I returned to the hotel, but I remember I was taking next morning the train back to Cologne. Afterwards there were neither any contacts to the host of my exhibition nor to the so-called investigating police anymore, no excuse or apology, no empathy and not taking any responsibility or investigation results. But the shock continued, when none of the lawyers I visited wanted to be involved in this explosive case, when my family and friends were laughing at me as if I would be a fool, not understanding what was and is happening to me. I could not stand it any more, that all people were leaving me standing alone, and I cut in sequence all contacts besides those to my mother. The shock, or better the never ending series of shocks had an effect on me as if I had been hit by an acid attack. Slowly the acid was eating the layers from outside to inside. These first weeks after Wittlich, I was lying in a dark room feeling as if I would be dying. In November 1998, again several inaugurations were scheduled, which I managed with the last energy left, but afterwards….. I do not remember. The next time I remember, was when I saw my mother crying when I was opening my eyes, tears of joy, an expression of an incredulously surprise. I was back to life! Only later, I was told that the owner of my studio had opened the door, because neighbours hadn’t got any signs of life from me for many days. I was found lying in my bed without consciousness in a coma. After many weeks at the hospital, my mother decided to care herself for me, when no hope was left, I would ever wake up from the coma. And when she wanted to move me to her place in Southern Germany in May 1999, the miracle happened and I opened my eyes. I would not know how I would have survived without my mother. She gave me for a second time my life. But the real challenge was to come, yet, because like a baby I needed to learn all vital functions like eating, drinking, walking, and when little by little my memory returned, becoming aware that I was not able any more to work as an artist the way I did before, was causing another new shock and a deep depression. When I understood, I would sooner or later die if I would not train my intellectual skills, I got the unusual, but anyway ingenious idea to learn programming languages, something which I never had done before, and when I recognised my strong affinity to the logical structures, these were the first achievements giving me new hope. What kind of perspectives were rising? Learning the programming language of JAVA was not only showing me that I was able to recognize logical connections again, but the fact how very quickly I was learning, as if that was just made for me, was causing perceivable positive results stimulating my self-confidence, and this way to continue. I did not only feel like a pioneer in nobody’s land, I was really a pioneer in many concerns, I was curious for the “new”, the new and unknown were my only chance, because there was no Past which could serve as a reference. All the memory before I fell into the coma was absent, the links were broken or lost, a disadvantage and advantage at the same time. Dealing with the organisation of data, e.g. learning JAVA had that kind effect, that it was re-structuring the data organisation of my memory. When in August 1999 the war in Kosovo (former Yugoslavia) was escalating and the Serbs were about the execute a genocide as a “master race”, it had an initial effect, because some basic memory of art and awareness for art returned, I felt the need to become active as an artist again and to make my artistic contribution, but I did not know how. While the coma is actually representing a kind of final evolutionary survival strategy of the human organism, falling into the coma was protecting me from the process of destructing which started already in Majdanek. It became slowly visible after I returned to life in subtle, but anyway horrible ways, for instance, I lost the affinity for the material. Material values lost any meaning. For instance, when I visit a museum, I recognise the aesthetic value of an art work, but the physical artwork as such has no relevance to me. For me as an artist was representing this loss a disaster in any concern, but another thing, which may call a disaster, is what one of my therapists called the destruction of my psychological immune system, causing high fever even at the smallest emotional stress. After my return to life everything was emotional stress and already after some days I was physically completely exhausted and down. Now, I felt the need to become active as an artist, but there was nothing I could refer to. I am happy, that the creative structures of my personality were not lost, as well, because I started again to become creative, getting suddenly the idea why not use my starting skills in programming JAVA for using the programming language for creating a new work of art. Although I was no expert in programming, yet, experimenting with JAVA in terms of art was showing already soon, that it would take really too much time for programming an art work from point zero, artists who did that once needed 3 until 5 years before a substantial artistic result became visible, but the war and the genocide were now and there was no time to loose. At the same time in 1999, the Internet started to became popular, and immediately I recognized its potential in terms of art. After I established an Internet connection, at that time using a 28K modem, and by looking for ways how to use the Internet in terms of art, I found first software based on Java whose development however was stopped very soon, but later die multimedia software FLASH, at that time the early version 3. Flash was abbreviating development and processes profoundly I was looking for my artistic creation. Learning the programming of FLASH and HTML was easily compared with JAVA and after a lot of experimenting, how an artistic concept might be transformed into such a work of interactive art, I got the idea to represent collective memory via the Internet based project, retrospectively seen the continuation of my project “A Living Memorial, entitled “A Virtual Memorial, which was not devoted to certain kinds of incidents, like the war in Kosovo, but it was addressed against the Forgetting, the loss of collective memory in a global context, it was local and global at the same time and addressed to people on all continents. After I established my own server, I re-created on 1 January 2000, at first not only myself as the artist brand “Agricola de Cologne” and the virtual artist of the same name in a symbolical act, but published also my first Internet based art project “A Virtual Memorial Foundation” to become in sequence the mother of all following projects, including Shoah Film Collection and its event context “A Virtual Memorial – Commemorative Interventions”. It is certainly no exaggeration to state that one of the most unusual artists’ careers started. Without the traumatic memory of the Past on my back, I was able to explore new fields of art as a pioneer, I became a curator by exploring the Internet as a medium for art. My experiments were honoured immediately with an unexpected, but desperately wanted success, which was manifesting itself at first in the collaboration with festivals and institutions in the field of electronic art. While I was focussed exclusively on the Internet in the beginning, about 2004 I got the perception, that the Internet as a virtual space would get its actual meaning only when it was juxtaposed with physical space. The field of “art & moving images” was drawing more and more my attention, which was underlined when I founded Cologne International Videoart Festival in 2006. While I was dealing with memory in most different ways – the Internet as such is representing a gigantic memory – dealing with the memory of my own history, was remaining always a problem, as it was not clear, whether the memory was completely lost or the links were just broken and might be re-established one day probably. When I was dealing with the Holocaust in 2000 in my project “A Virtual Memorial”, it was neither connected to my traumatic experiences between 1989 and 1998 nor the memory of my art works before 1989. There was nothing left to refer to. Over more than 10 years I was not able just to face or touch any document of text or art created before 2000, but some day when I was ready, I was opening documents from before 2000 and opened at least some of packages containing art works I created in my former life, something which I was obviously very afraid of, but I liked them, at first from an enormous emotional distance, as if I wouldn’t be the artist, at all. Starting in 2000 a new life from point zero was actually also the starting point to return once to the status of a physical artist and this process is still going on, even if it is stagnating. When at the end of August 2001 my first therapy after the coma had come to end and there were some optimistic perspectives for the future, being confronted with the terror attacks on 11 September 2001 was causing within a few seconds through self-identification again a complete break-down at the highest fever and again nobody knew whether I would survive the following 8 weeks the daily ups and downs. While the memory of the family trauma and the Holocaust were a kind of genetic condition deeply rooted inside of me, which was not touched by the destructive processes causing the coma, only in 2009, I felt physically and spiritually strong enough to confront myself with my own traumatic Past, and when I was able to accept it, a small door was opening which I took as a chance to start a new initiative e.g. SFC -Shoah Film Collection. There is some very tragic moment in this project, because one might consider it as a kind of essence of my artistic life. Dealing with the Holocaust and collective trauma caused by totalitarianism, the project as such and the involved artists and films have such an enormous relevance to me, again I take enormous risks, this time not just for me alone, but the responsibility over a whole community of artists, and now the chances are so big, that this project will be completely failing and my heart will break definitely. It hurts me physically to face that it is now the community of artists which are leaving me standing in the rain and the crowdfunding campaign is about to become my personal disaster in 2013, how little my work, where countless people had benefit since 2000, how little my person as an artist, curator and cultural activist is respected, and I will be forced to stop this project in order to protect myself. I am not sure, where the perspectives could be to continue after this campaign. This question actually makes only sense, if it would be the nature of art to deal with memory, at all. But is it like that? From the contemporary point of view, during the development of human civilization from the early beginnings of the stone age, when art had basically a cultic function to transfer collective memory (knowledge) from one generation to another, until theses days, when art had lost, at least in the Western societies, any privileges of its previously cultic status, art did not only change its meaning through the times permanently and in each culture differently, but the definition of what is perceived in which way as art changes additionally every few years, like fashion is changing each season. There is nothing more subjective than art & dealing with art. There does not exist a binding definition of art, this makes it difficult to discuss about art, at all. But art is also not representing one single uniform field, but it has many faces touching different human senses differently. Art is divided into different “arts”, categories consisting of creative arts like visual art, literature, musical composing and performative and reproductive arts like theatre or dance. Depending on the personal connection to a certain field, art is defined most differently depending on the respective point of view. Additionally the colloquial language is using art in completely different ways, describing art as a certain kind of higher standard, quality or ability, the art of cooking, the art of motor-biking, the art of gardening etc, so that one can even speak of a kind of Babylonian confusion concerning the use of “art” in daily life, when currently nearly everything which would like to increase its prestige or reputation adds art as an attribute. But when people speak about art, they mostly actually mean visual art to be viewed in galleries and museums, to be hung on the wall in the living room, while music or theatre are mentioned as what they are having hardly anything in common with other forms of art. Coming back to the initial question, art and its different forms of manifestations have the potential to touch people emotionally and make them change their awareness by sensitizing. After the liberation of Auschwitz and the end of World War II, intellectuals declared art after Auschwitz to be dead. That it is not true was showing the same people later on and the following artist generations. But it was also not true that the Holocaust was causing a final loss of humanity. This perception would falsify the reality and neglect all those brave individuals in Germany and other European countries who saved Jews and other persecuted people by taking the highest personal risk of being persecuted and killed themselves. Despite the millions of victims Hitler’s final solution was not successful in the end! It is also not true, that the Holocaust wouldn’t have been a topic in the arts, but it’s true that it’s not visual art. Certain artistic expressions are more predestined than others to deal with the memory of the collective trauma, especially those using non-visual communication like music or literature and others using a live performance of humans like dance or theatre which make a self-identification with the sensually perceived much easier, while due to its static character using the dominating visual sense visual art has a natural problem to deal with the visualization of the Holocaust, respectively transforming reflecting the Holocaust into a language of visual art. It would not be true to state, after Auschwitz were no visual artists who wouldn’t have dealt with the Holocaust, but they were mostly not successful, neither in an artistic sense, nor in the sense that they would have touched the viewers, nor they would have kept vivid the memory, they were using stereotypes in representing the collective trauma and created new stereotypes, causing a dogmatic, never changing view – dealing with the Holocaust in another way became a kind of TABU. The contemporary art scene is punishing all those artists who try to make the Holocaust a topic in art by excluding, neglecting, discriminating and discrediting, and the institutions dealing with the historical aspects follow also rather a dogmatic view on the Holocaust, and do not allow new and alternative approaches. The artist is perceived as a hostile intruder in an occupied territory which needs to be defended. Of course, there are exceptions, but the exception proves the rule. Where are the artists who would change this status quo? I would say the “moving images” were choosing me. I grew up and were studying art under the influence of the classical art forms of the 19th century and early 20th century, this was not really old-fashioned in this sense, but the development of technology was in its starting phase only and time was not mature yet to dynamize contemporary art. Although I liked always cinema especially those films by the legendary Hollywood directors, it was never my desire to become a filmmaker or create a feature film. I can definitely say, that it was not cinema which was generating my interest for movement in art, rather the need to include processes of time and intensive colours, but using the conventional static visual art media, I was always unsatisfied with the results which made me search for my “holy grail”. Because the technology was not available yet, to include movement as an attribute of an art medium, I chose another way making the associations interact generating a kind of non-visible, but emotional and virtual interactive film raising inside of the viewer. The media of film and film making do not only also belong to the creative arts, but were also transporting the Holocaust as a topic successfully to an audience. Mostly based on visualizing literature, the stories made people identify themselves with the characters, but people were reviewing films for “fun” and not for being educated. Differently than static images moving images are made to visualize processes. While visual artists were already experimenting in the early 20ies with film – videoart as we perceive it these days has its roots rather in these early experiments than in the analog VHS video – the moving images entered visual art via the technological and conceptual disadvantages and restrictions of VHS video technology. . Really popular became video only after 2000 when the advanced technology of the communication media made the use of the video technology affordable to anybody. This digitalization changed and extended visual art profoundly in its substance, because for the first time the arts got closer removing existing limits and restrictions between the “arts”. Including the computer and software as tools was causing consequently a democratization opening the doors for a new universe of a networked interdisciplinary self-determined art creation. Only now, video became that universal audiovisual medium, which gave a creator the tools for keeping complete control over the artistic and production processes. Consequently also the technology of the classical film making changed profoundly so that nowadays for artists and filmmakers the same tools are available. The difference between art and cinema remains in the different concepts of moving images, the different use of the tools generating different results, but the boundaries between the categories and media are vanishing. Although using VHS video would have been an option – I neither liked the aesthetics, nor the use of analog video ever, it was simply not my medium – for integrating movement in my mobile memorial, I was requested to generate movement in another way. Already the idea of the mobile art installation was already incorporating a dynamic movement conceptually, the viewer was now requested to interact, to become active and move himself, while the objective of exhibition of the installation remained static. The viewer’s movement was generating not an objective, but a kind of subjective and virtual film inside through this activation. Although the idea of interactivity was not really new at that time, it was not expected in any way in the very conservative context of the exhibition venues and was therefore causing irritations and dissatisfaction. This artistic concept made sense, if the viewer was open and accustomed to take this active part, which generally visitors of exhibitions were not accustomed to at that time. Shortly after I acquired my first digital video camera in 1998 – one of the first on the market – the earlier described attack causing a months lasting coma was destroying all hopes and perspectives for using moving images in my art work. Only after I re-created and re-established myself as an (virtual) artist in 2000, working on the multi-media contents for my Internet based projects was demanding the use of digital video. I remembered now my digital video camera and also some of my talents I was training many years ago. The audiovisual character of video was corresponding with these needs and talents of mine, the musical talent – I was studying about 15 years violin and afterwards singing, I wanted to become an opera singer -the performing talent – I was doing an actors school learning to use the spoken word – two talents which were now very helpful for becoming completely independent and create and produce my videos as total art works without any external assistance. This interdisciplinary approach was also very supportive when I started curating in 2000 and founded in 2006 my own festival – Cologne International Videoart Festival. In my projects, collective memory, totalitarianism, violence, a positive globalization and identity were playing since 2000 a fundamental role. By starting the first project, simultaneously I initiated the development of an international network which is representing now the fundament of my professional (artistic) activities. But it took a long time of dealing with “art & moving images” until I felt the need to make the Holocaust a topic of a curatorial art project, and even more time until I was overcoming my fears to take again the non-predictable risks after the earlier made experiences with my own death. There were some milestones which had an encouraging effect, for instance the collaboration with the Argentine artist Raquel Partnoy. Of Jewish origin, she was one of the Mothers of Plaza de Mayo surviving the Argentine military dictatorships. The result of the collaboration were my interactive multi-media projects “Women: Memory of Repression in Argentina” (2005) and “Family Portrait” – spotlighting the diasporadic life of the Partnoy Family, a project which received in 2005 the MOZAICA Award on the topic of Jewish Diaspora given by York University Toronto. I was invited to present both projects in Argentina (Buenos Aires, Rosario & Santa Fe) in 2005. When I felt strong enough, the ideas for a project dealing with the Holocaust took shape, entitled: “Draft Title: Shoah”. It was expressively an open concept, because I did not know, yet, whether I would receive any positive response nor where my way would lead me to. Actually, I had a kind of interactive multi-media project in mind, when I released in 2009 an open call addressed to artists. But the kind of submissions, which were in the majority videos were pointing in the direction of moving images, resulting the idea for “SFC – Shoah Film Collection”, to be published later on 27 January 2010 – on occasion of the 65th return of the Liberation of Auschwitz as an international initiative. As a typical project of mine starting as an experiment, I needed to find out first, what could be the meaning of this project, at all. In any case, the films were supposed to be presented to an audience. Being very successfully active in the field of “art & moving images”, I started in 2011 to include selected videos from Shoah Film Collection in several screenings in Russia, Poland and Romania, but I found out without a major accompanying thematic context the screenings made conceptually no sense. So, I remembered the ideas from the 90ies to activate the audience and incorporate movement actively, not just passively from a kind of consuming position, and created the event context, entitled “A Virtual Memorial – Commemorative Interventions” placing SFC – Shoah Film Collection into complementary interventions like lectures, exhibitions, a symposium, artists talks, discussions and much more, in order to activate the artists, as well as the audience. Now; I only needed to find partners for hosting Shoah Film Collection. At the beginning needs to be stated that the manifestation of “SFC-Shoah Film Collection” in the context of its own event structure “A Virtual Memorial – Commemorative Interventions” is representing an experiment of art and, as such it is the meaning to break the walls of the existing dogmatic views on the Holocaust, and open instead doors for new perceptions. As an event A Virtual Memorial is not representing another forum for confirming or discussing historical or scientific truth or research, or establish a kind of alternative truth, but confront the audience including the artists and experts on any scientific field with another sensual, spiritual and emotional approach that touches people’s senses and heart. Without it, the Holocaust will loose its universal relevance for mankind and perish as such like the millions of its murdered victim did. Thus, keeping vivid the memory of the Holocaust is keeping vivid its fundamental relevance for mankind, independently from any personal affection. The only problem is that there is no general consensus that the Holocaust might have such a relevance, at all. So, finding ways to people’s hearts wherever on the globe, that’s the challenge. But SFC and A Virtual Memorial have themselves also only a kind of complementing character, and do not intend to replace any existing structure dealing with the Holocaust, but would like to expand the existing spectrum with some new aspects and components which has been neglected or not be considered, at all. 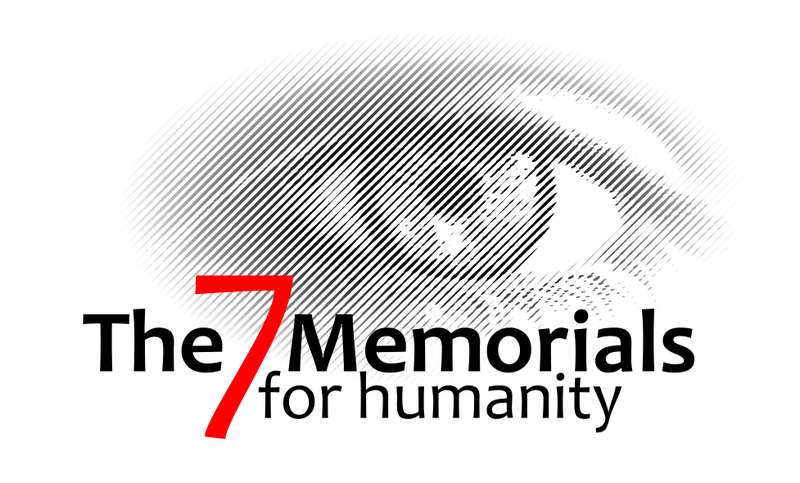 As an artist’s initiative, A Virtual Memorial” would be completely overwhelmed if it would be considered to be a kind of global campaign to change that kind of perception, as an art project transporting already an universal message of art it is predestined to transport that universal relevance of the Holocaust for mankind. While “A Virtual Memorial “ is not standing alone, because collaborating partners are needed hosting the event structure, finding these partners does not only belong to the interventions but represents also already a crucial point because an interdisciplinary collaboration between different types of institutional partners is requested. In order to find out, how the artistic ideas of the interventions might be realised, I started in 2012 the pilot project “ A Virtual Memorial Riga 2012” – http://riga2013.a-virtual-memorial.org . Considered to be my collaboration partner, Riga Ghetto & Latvan Holocaust Museum insisted justly to involve another partner who would be more competent in media art, so Cultural and Art Project & Latvian Video Archives NOASS Riga joint the collaboration as the executive partner in Riga running two extraordinary art spaces in Riga, the floating art galleries NOASS and BETANOVUSS, which were supposed to host “A Virtual Memorial Riga 2012” – 1-30 June 2012. as a part and partner context of the 1st International Conference of Holocaust Museums, organised by Riga Ghetto & Latvian Holocaust Museum 4-6 June 2012 @ Latvian Academy of Sciences. It was an experiment for all partners, none of them had experiences in realising such an interdisciplinary project on such a short notice (March-June 2012). In the final phase, two week prior the event I was personally present in Riga, driving my partners with a kind of moral whip, otherwise we would have never succeeded. All actions and initiatives started during this short realisation phase have to be considered as interventions, as well. The project partners were requested to mobilize people on different fields and levels. In a country which is standing only at the beginning to bring the topic of Holocaust to a public perception, one might even speak of a kind of pioneer’s work in the Diaspora. The interventions can be seen as any activity in the process of realizing “A Virtual Memorial”, which are individually different at each venue due to the different conditions. During the realisation process, one essential intervention is to bring artists participating in Shoah Film Collection to the venues, in the given cases to Riga in 2012 and in 2013 to Vilnius. The embassies of several countries supposed to fund the artists’ travels become additional partners, in this way it was possible to welcome 8 artists in Riga, ( see also the photo on the campaign page), and hopefully even more to Vilnius. No better than Shoah Film Collection itself and the currently 60 included works can demonstrate the conceptual idea of diversity, each film or interactive work is based on another artistic concept and approach. In terms of complementing Shoah Film Collection, the interventions have the meaning to go deeper down to the artistic concepts and the making of of the videos through lectures, exhibitions, artists presentations and talks and discussions, but on the other hand to present to the audience additionally a wider spectrum of contemporary art creation dealing with the Holocaust by presenting performances, soundart performances, photography and digital media, for instance. So, the fundamental meaning of the interventions is to encourage and enable an activation of the attending artists, as well as the audience, which can be happening in different ways and different levels during the realisation process. In Riga the actual event interventions took primarily place during the 3 event days 1-3 June 2013 when the invited artists were attending. They included not only on 1 June the private view when the event as a whole and the divers exhibitions were opened on different galleries and the final performance by Doron Polak, but an very important intervention took place directly afterwards, when Rabbi Menachem Markahan, the head of the Latvian Holocaust Museum was guiding the artists through the former Riga Ghetto and the Holocaust Museum , which is still under construction, so that the artists were visiting the authentic places of Jewish living and persecution in Riga, and in the evening opened the event officially to the audience including the screenings of selected SFC films, the artists presentations and the discussions afterwards. The essence of the pilot project in Riga was that the type and quantity of interventions can not be predicted or scheduled, due to the complex organisation. While Shoah Film Collection as such can be handled quite easily, its manifestations based on a wide range of interventions are sitting between many chairs. Much more than just one pilot project is necessary to develop structures which can be the basis for future project realisations, and this actually is making them quite unlikely. So, if Vilnius is taking place, it will be the next pilot project. Like in Riga, each event has its own rules, the “Unexpected” is marking the character of the interventions. What I was describing in a few words, was really very Riga specific, and according to the conclusions I was drawing, it is exactly also the proper concept to create just an open frame. As for Vilnius, compared with Riga the conditions are similar and at the same time completely different, because Vilnius has completely different historical and local references. While Riga was realised in a kind of “tour de force” within a few weeks, in Vilnius the collaboration with the Lithuanian host – the Jewish Cultural Center started already in November 2012, and after more than 7 months it is still not yet clear, who actually will be the attending artists. In this way, it is also not possible to start any programming. Since also in Vilnius there was from the beginning just a small budget available, the hopes were lying in a project funding from Germany, but the German embassy in Vilnius, as well as the Ministry of Culture of North-Rhine-Westphalia declined the applications, which I would not like to comment due to the scandalous circumstances, so that one of the most fundamental interventions was starting on 11 June 2013, e.g. the crowdfunding campaign on IndieGoGo in order to raise the missing funding for the project realisation. The crowdfunding campaign, as such, is representing a combination of countless individual interventions intending to activate and mobilize as many individuals and instances as possible to support the campaign on different levels. As such, already the campaign can be considered to be an event for itself. Like it can be observed on the campaign page, however, these attempts to mobilize people were until now not successful, and this does not represent a positive signal for the preparations in Cologne and the actual project realisation in Vilnius. The type and quantity of interventions to take place in Vilnius are depending on the money available, and since the end of the campaign is about two weeks ahead, nobody can tell at this very stage how much money might be available. But it can also not be excluded, that the whole event would be cancelled. By starting the campaign, I was confronting myself with my own traumatic past, which I was describing in my answers on the interview questions, supposing I would have overcome the trauma meanwhile, but unfortunately it is not like that. It is again a kind of self-experimenting, which I probably better wouldn’t have started. Observing my campaign failing is like a kind of ongoing torture, facing how artists and partners let me standing in the rain, how much heart blood, time and energy I was wasting, while nobody cares, neither the majority of the involved artists nor anybody else. I am confronted with discriminations of different kind, which only can be interpreted as a kind of anti-Semitism. Like after the terror attack in 1998 and when I woke up from the coma in 1999, since weeks I have the same type of fever attacks which cannot be stopped, my immune system is meanwhile completely out of order, and sooner or later I need to give up due to physical weakness. I am waiting for a kind of positive heavenly signal from anywhere, which might stop the fatal process of the fever attacks. So, actually I should stop everything immediately in order to protect myself. I am really sorry, but I am currently no able to say anything about Vilnius, as long as the campaign is not finalized and my physical conditions stabilized. The fact, however, that I did not give up, until now, is indicating that I believe in my project, and surely, I also would not like to disappoint all those wonderful people who were supporting me until now. If I would give up, those people would have won who try to kill the project and prevent its realisation since months.